Fire Classifications and Extinguishers - A fire with a stable supply of fuel, oxygen, and heat can double in size within 60 seconds; therefore, quick action is key to preventing catastrophic damage. Fires, and their extinguishers, are categorized into 5 different classes based on fuel types. An ABC fire extinguisher is typically what most people stock within their homes and businesses as it is versatile – it can extinguish 3 out of the 5 fire groups; however, fires result from Class K type situations, which require their own specific extinguisher. Mold, Myths, and Facts - Bleach does not kill mold, it can even make a mold problem worse. It is effective if the growth is on a hard, solid surface, such as tile or glass, but it will not work when the surface is porous. Unfortunately, many growths occur on these materials, like drywall and wood, in our homes. Bleach does not soak into porous materials, which means it can’t reach the growth spread out through the pores, it only kills the surface. The outer surface of the affected area will appear clean, as the bleach will have whitened any stains and scrubbed away the exterior mold, but the internal mold will be quick to grow back. Signs of a Water Damage - While it may seem like water damages should be easy to spot, many times their signs are subtle and hard to find. Water damages, particularly when they go unnoticed for a long period of time, can cause extensive damage to the structure of homes and they encourage mold growth. Early intervention can save you time and money. These signs can include stains, peeling, and a bad odor. If you experience any damage to your commercial property due to fire, water, or even mold call SERVPRO of Manteca at 209-823-8777 to handle all of your restoration needs. SERVPRO of Manteca is an IICRC firm. The Institute of Inspection, Cleaning and Restoration Certification (IICRC) creates the standards for the restoration industry and provides training and certification to restoration companies. IICRC Certified Firms have the right to display the IICRC Certified Logo. SERVPRO of Manteca specializes in the cleanup and restoration of residential and commercial property after a fire, smoke or water damage event. Our staff is highly trained in property damage restoration and we are an IICRC Certified Firm. We believe in continuous training: from initial and ongoing training at SERVPRO’s corporate training facility to regular IICRC-industry certification, rest assured our staff is equipped with the knowledge to restore your property. Since there is little seasonal change around Manteca, many residents and homeowners forget about routine maintenance. Some mistakenly believe that with no significant drop in temperature and the damp that goes with it, their house is safer from mold than in other parts of the country. That belief is just not accurate. 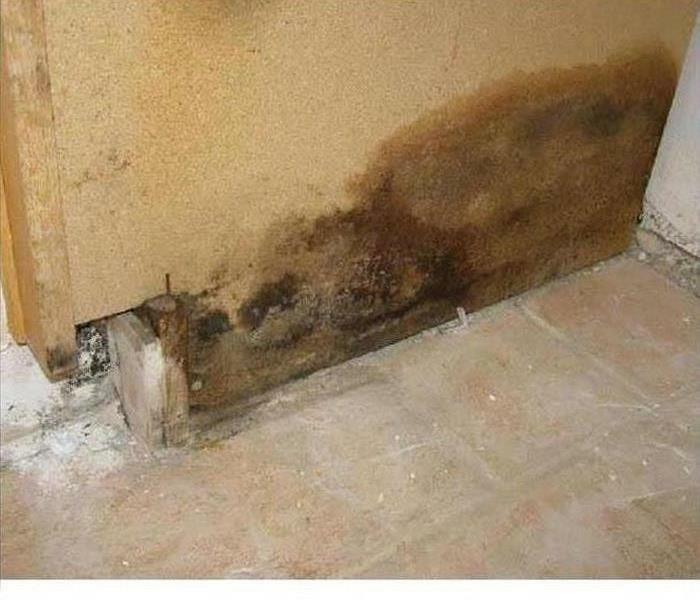 Manteca mold damage can happen as quickly here as in a dank basement in the mid-west. Mold spores grow and thrive in temperatures as warm as 85 degrees. Some species live at even higher temperatures. To stop active mold growth and prevent future expansion from starting, SERVPRO has developed a process that finds the source of the mold, isolates it, kills active spores and then removes the rest. Remediating mold damage is not a short or easy process. With SERVPRO of Manteca on your side, it gets done correctly to put you back into your home as quickly and safely as possible. Call us today at (209) 823-8877 for more information or to schedule a preliminary inspection. Situations that affect a Manteca area home's level of security after fire damage has been remediated still needs to be remediated. Security needs to be restored. These types of fire damage-related issues can appear weeks or months after a fire. Having a situation such as this develop does not mean that the remediation immediately after a fire was unsuccessful. Wood that expands can become more porous, which in turn allows more moisture in the future to be retained, leading to swelling. We can repair these conditions and restore the safety your family deserves. Working to restore homes of our neighbors, family, and friends, we know a safe and secure feeling is important to every family. Busy lives are full of missteps, some more dangerous than others. Walking away from the stovetop happens when kids call or the doorbell rings, but so then do kitchen fires. SERVPRO of Manteca experts help put your cooking areas, and other affected areas of your home, back together after fire damage. Sorting out a disagreement between a pair of siblings took you away longer than expected from a pot of water boiling, waiting for some pasta. Instead of cooking dinner, the pot boiled dry and superheated, igniting some potholders, causing fire damage to your home. Our fire damage restoration crews are always on standby for situations such as this. We are ready to assess and begin the cleanup and restoration as soon as the fire department gives the go-ahead. National statistics point to unattended cooking as the most common cause for the 62 percent of home fires attributed to ranges or cooktops per year. SERVPRO of Manteca team members train on a regular basis to Institute of Inspection, Cleaning and Restoration Certification (IICRC) standards to be prepared in industry best practices. A project manager assesses the extent of the damage in the kitchen and other areas of the house and develops a plan to meet your specific needs. The worst thing that happens when a light is left on is not necessarily a high electric bill. The heat from many kinds of light bulbs is capable of igniting draperies, bedding, and even rugs and carpeting, among other things. SERVPRO of Manteca is a resource for the homeowner recovering from a fire set by this or any method. Although you cannot be certain exactly how it happened, fire damaged your Manteca home after a lit lamp overturned in a bedroom. Perhaps a pet knocked it down, or it was teetering on the edge of a bedside table, but the bed linens caught fire. Fortunately, a neighbor noticed smoke billowing out of an open window and called 911. You rushed home to find the fire out, but damage in the room, the attic and the roof above it. A call to SERVPRO of Manteca immediately has our crew arriving right after the fire department authorizes reentry. Fire damage usually poses a complex set of issues, including the obvious charring and destruction to contents and structure, and also water and chemical residue damage, depending on how the first responders extinguished the fire. Items destroyed by flames are bagged for disposal by local rules. Porous articles like mattresses rarely survive unless they untouched by charring, and even then, soot and smoke damage counsel replacement in many cases. Clothing and linens clean up well through laundering or dry cleaning, a task the homeowner may take up to free SERVPRO for more technical matters. One of the easiest ways to mitigate harm to your furniture during storm damage in Manteca is to place a small barrier between your furniture and the floor. Prop up couches, chairs, desks, tables, and anything else you can on top of wooden blocks, bricks, or some other stable object. This effort will help to keep the furniture from coming into any more direct contact with flood water. Mold damage is incredibly difficult to treat and remove once it has taken root in a home. Resistant to heat, cold, chemicals, light, darkness, and physical abrasion, mold is near impossible to deal with without specially-designed tools and equipment like those used by SERVPRO of Manteca. So, why is mold so difficult to work with? 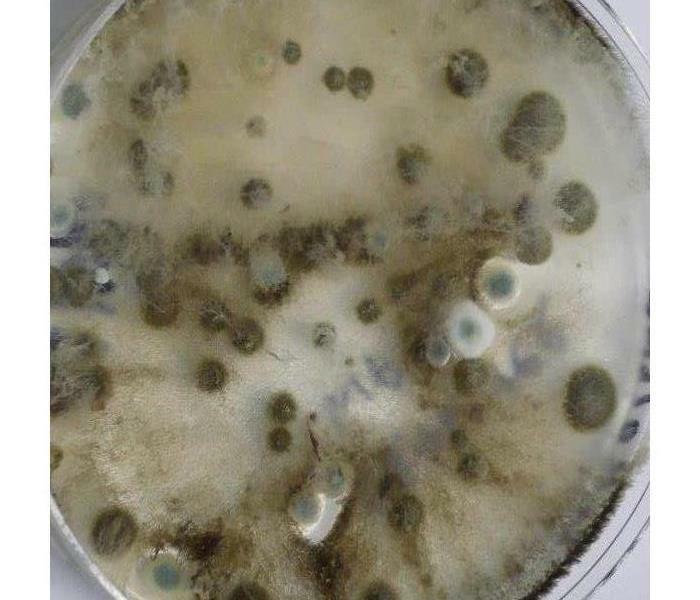 The answer starts in its biology: mold is adapted specifically to be as hardy as possible, not relinquishing its grasp on a surface until the bitter end. All colonies, even those causing the most extensive mold damage start from tiny, microscopic spores. Whether it is one spore or a handful, it does not often take much for a full-force infestation to spring up. These spores mature quickly, and once they have reached maturity, they produce thousands more of their kind. These children, equally tiny and hardy as their parent organism, then mostly spread around the immediate area, taking root and growing hundreds to thousands of children of their own. In this way, mold reproduces at an extraordinary exponential rate, quickly consuming the entire surface surrounding the origin of growth.